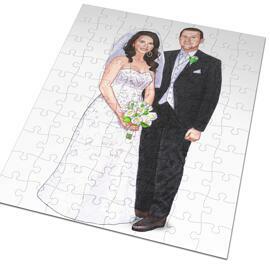 Get a Beautiful Wedding Caricature Drawing of the Bride in Colored, pencils style drawn from your photos. 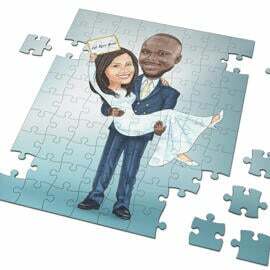 You will be able to use the drawing for a perfect Wedding Gift, Bridal Shower gift or a Romantic Gift to your loved one. 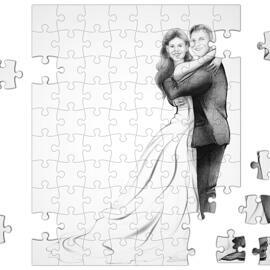 Our professional artists draw what they see, depending on the photos you supply, no self editing is allowed. 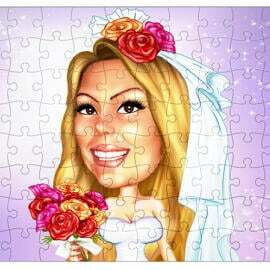 We aim to satisfy our clients with amazing Caricature Art works they have never got. 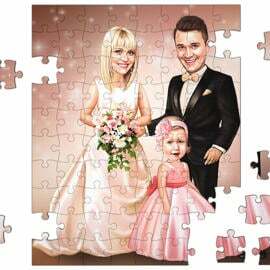 We can create a lovely Bride Caricature as well as a handsome Groom Caricature which will make an excellent 1 th Wedding Anniversary gift for both of them. 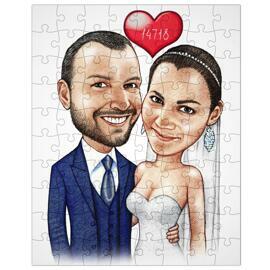 Your Bride and Groom Wedding Drawing will be delivered as a stunning looking, ready-to-be-printed JPG file of 4000px resolution at 300 dpi to your email by default. 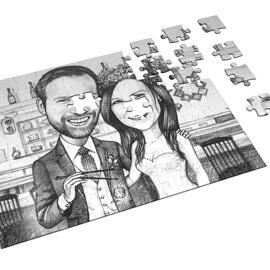 You will be able to print your Wedding Caricature Drawing on any surfaces such as: T-shirt, back-case of smart-phone, mug, pillow and any other. We offer additional delivery options for our customers at extra cost: Drawing printed on Canvas ; Drawing printed on Photo Paper(Fujifilm Crystal Archive Paper). Worldwide shipping is available.